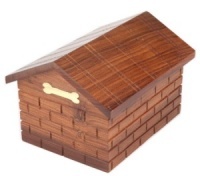 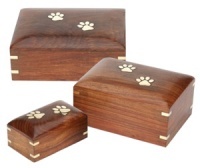 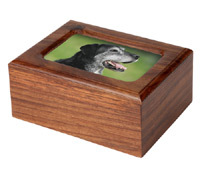 High quality solid wooden pet urns for cremation ashes that also make beautiful keepsake boxes for treasured memories. 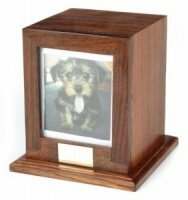 Safely store your dog's ashes in the urn or use it as a pet memory box to safely store keepsake items, to treasure and remember. 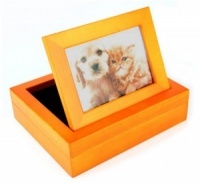 They are all secure and many include a photo frame for your pet's picture.